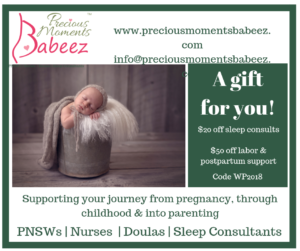 The Baby Box Co. is not just about babies or boxes. It’s about creating a safer world for children by supporting parents. Our community is your safety net, bringing you expert information and trusted products so you can protect the ones who matter most. We provide the parenting education you need before you even know you need it, so you can conquer uncertainty and win the day—or at least the hour. From pregnancy through infancy and early childhood, we deliver what you need to parent with confidence and raise safe, happy kids. At Newborn Threads we create custom embroidered baby blankets with baby’s name, birth date, time of birth, weight and height. This unique keepsake lets people in your life know how much you care. Why a blanket? Blankets are there for first swaddles, snuggles, and cuddles. They go everywhere; stroller, crib, and sleepy car rides. They’re security and comfort, they soothe pain, wipe away tears. A blanket is such a meaningful part of a child’s life starting at birth, through toddlerhood, and into the childhood years. By adding personal details we create something sentimental and meaningful. With the little ones snuggled into baby carriers, moms learn popular moves while babies ride along to the Salsa beat!